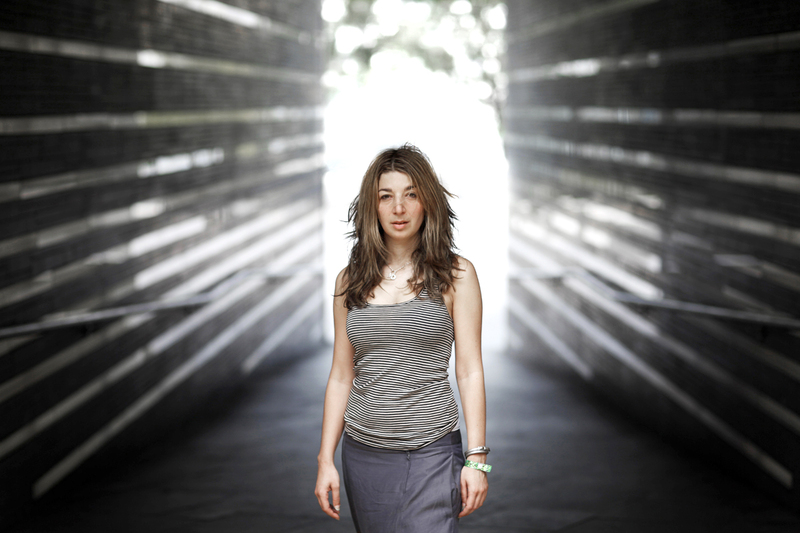 Occupying the 6pm slot before Thomas Adès’ Shadows, there was a welcome informality to Mira Calix’s juxtaposition of her own chamber works with those of four other contemporary British composers. No projections, choirs or crickets: Instead, Calix gathered an intimate council of composers, performers and listeners to consider their relationship to nature with the help of poetry from the nineteenth century and today. “This is me,” begins the electroacoustic track of “looking for cowslips,” Calix’s work for soprano, clarinet, viola, cello, piano and electronics based on Alice Oswald’s poem. The phrase proliferates in the space before being captured like a thought by soprano Lotte Betts-Dean. In such a simple gesture the multiple identities of nature are realised in a single human being. The moment of self-awakening does not last long as the air is quickly disturbed by a tremolo on cello (Zoe Knighton) and Betts-Dean frantically calls “no, no, no, no.” Throughout the piece the harmonics, trills and pizzicati of the cello provide an internal, affective countermelody to the soprano’s narrative. Bird and insect calls form an external environment to which the soprano responds, while echoes and transformations of the soprano line reflect the permeability of the natural and human worlds. Calix and Larry Goves reverse their usual compositional roles in their collaboration “eyepoe.” Calix takes control of the instrumental parts, while Goves is entrusted with the electronics. The piece contrasts melodic string and clarinet parts with short, prerecorded, haiku-like passages for what sounds like harp and steel-string guitar. As the piece progresses the instrumental parts become darker and the electroacoustic track more suffused with a wind-like roar, dissolving the musical into the ambience of natural sound. The collaborative descent of “eyepoe” prepared the audience for Tansy Davies’ stark vocal setting of lines from the nineteeth-century nature poet John Clare’s autobiography. The soprano evokes cornfields and forests “troubled” by the “destroying beauty” of weeds through Davies’ hypnotic, falling chromatic lines. The ensemble achieved a perfect balance between electroacoustic and instrumental sound in the intimate acoustic of the Salon. The result was a highly affective performance that drew the audience into the composers’ worlds of cowslips, cornbottles and sunflowers. In withdrawing her book Memorial from the T. S. Eliot prize in 2011 because of the prize’s questionable sponsors, Oswald described poetry as “the great unsettler.” Calix and company’s music provides unsettling settings of unsettling poetry, placing humanity’s relationship to nature on the salon table.